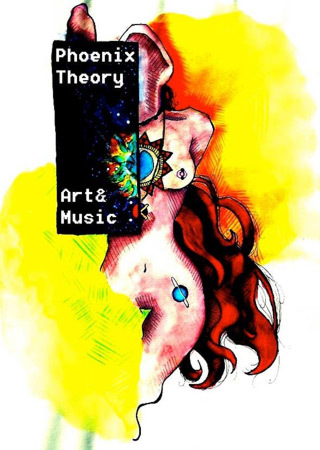 Phoenix Theory are a grassroots Art Collective based out of Bogota, NJ. All of the artists in Phoenix Theory share the philosophy of creating something from nothing. Art form Ashes, as they call it. And now this group of young, innovative artists will take over our li’l cafe for December. Thursday December 4, 2014 6:00PM – 9:00PM. Our kitchen will be open to serve you. This will be an alcohol-free celebration of the arts. Bring the kids! Deerheart — a group featuring Ollie Capone and other members of the collective — will be performing acoustic songs, accompanied by electronic beats. As always, D’s does not take any money from our artists. Any proceeds from art or music sold go directly to them.